It’s less than a month before we the whole world yet again celebrates the day of love- Valentine’s Day! Although not considered an actual holiday, it is one of the most festive and much-awaited special occasion for both men, but most especially for women. And it is during the 14th of February that roses are plenty. 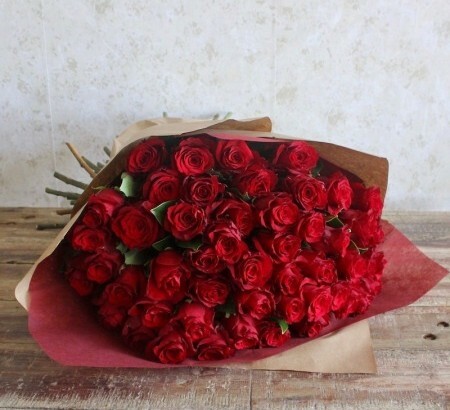 If you are a man looking for flowers to send to your partner, you may instantly opt to buy for red roses. Although red roses are the perfect symbol of heart’s day, you may want to consider other coloured roses in bloom. This article serves as a guide on the different colours of roses and what they represent. By gaining knowledge about the meanings of different rose colours, we hope that it becomes easier for you to decide which type of rose flower bouquets to be delivered to your significant other in Sydney. Roses can “not” be red, too! The colour orange is typically associated with passion and desire. The bright shade of orange may also reflect the passion and enthusiasm that you feel about the bond that you have with your partner. Sending roses is not only limited to girlfriends and wives. If you are inspired by someone and would like to express this admiration, send pink-coloured flowers. You may also send pink flowers to women who are a source of happiness in your life such as your mum, sister/s, and daughter/s, too! Pink is a bright colour and should, therefore, be the colour of roses to give for those who give meaning and inspiration to you. Consider sending yellow roses to those whom you have platonic relationships with. Yellow signifies friendship and wholesome bond with another person. Peach roses are not only meant to be given during Valentine’s Day but may also be delivered to people whom you want to send a symbol of appreciation or gratitude to. Now that you have a clear idea of the different colours of roses, you may now go ahead and order a bouquet for the special people in your life. If you have enquiries or if you wish to place an order, call us on 02 9871 1666 today.